These new stamps are so fun and versatile! I can see myself using them over and over again! Make sure to check out all the cool new things they are releasing this month! So many cool new stamps & dies!!! Such a pretty layout! I just ordered some stuff from them too! So hard to resist! Love your layout! how do you do the sewing on the pages? 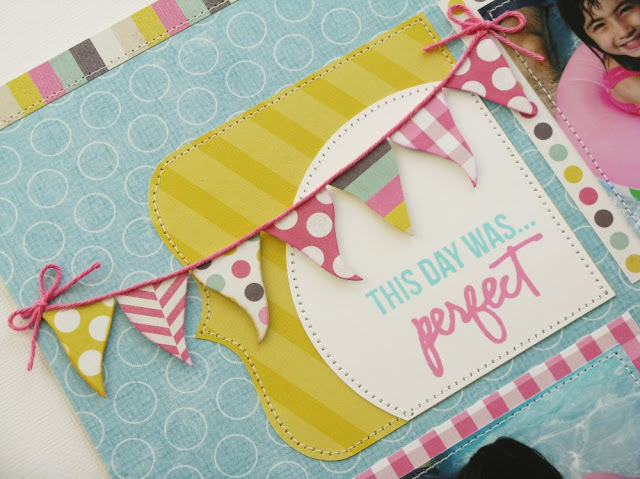 Do you use a regular sewing machine or a "scrapbooking" one? Also, what kind of books do you use to hold your pages? Now that CM is out, I'm looking for one that is similar and will accommodate more 3D items. Your LO are so cute - I will definitely be scraplifiting a few of these.